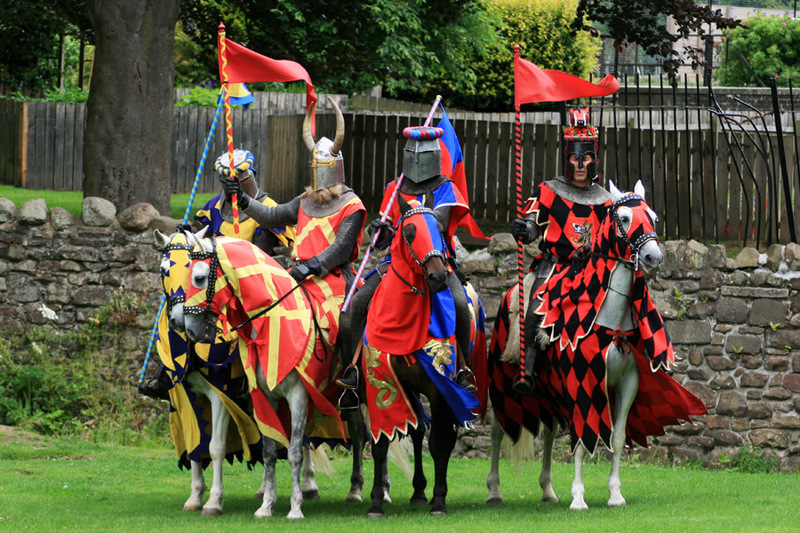 There was a special event taking place today at Linlithgow Palace – medieval jousting! We weren’t really sure what to expect, but went along to watch, and it was surprisingly enjoyable. And very popular, with a crowd of hundreds watching. During a break in proceedings we went down to the edge of Linlithgow Loch where a family of swans were swimming. As well as the jousting there was a falconry display, with a Saker Falcon and a Harris Hawk. After the events had finished we went into the palace itself, as I had read that the 16th century fountain would be flowing during the weekends of July and August. On the way back from Linlithgow Palace we went to visit three castles on the south edge of Edinburgh. The first we stopped at was Colinton Castle in the grounds of Merchiston Castle School (which was originally sited at Merchiston Castle, hence the name, moving to the present site in 1930). Built in the 16th century, it is now in ruins. A short drive from Colinton Castle is Craiglockhart Castle. Continuing the educational theme it stands on Napier University’s Craiglockhart campus. A small 15th century tower, it once stood four storeys tall but is only just over one storey tall these days. The third castle was Liberton Tower, a squat, solid 15th century square tower. It’s a great location, with views over Edinburgh below, including Edinburgh Castle, in one direction, and Craigmillar Castle poking through the treetops in the other. Liberton Tower stands on the edge of a field on the outskirts of Edinburgh. The field was sown with wheat, providing an ideal feeding ground for a swarm of sparrows. Published on the 11th of July 2010 at 10:03 pm. Updated on the 20th of July 2013 at 9:58 pm.